“Henry David Thoreau: Surveyor of the Soul.” Director: Huey (a.k.a. James Coleman). Screenplay: Huey (a.k.a. James Coleman). Web site. Trailer. Exploring the nature of our life is one of the noblest pursuits in which we can engage, and writer-philosopher Henry David Thoreau (1817-1862) was undeniably one of the best seekers ever to have undertaken this endeavor. As a result of his experiences, he wrote a variety of works covering a range of subjects. But, while the name is a familiar one, many of us are unable to describe his work or ideas with specificity. Thankfully, that shortfall has now been addressed in great detail in the excellent new documentary, “Henry David Thoreau: Surveyor of the Soul,” available for viewing on DVD and at special public screenings. Born in Concord, Massachusetts, site of the first battle of the American Revolution, Thoreau seemed to have drawn from the revolutionary spirit of his birthplace throughout his life. The alternative views that infused his writings, philosophies, life choices and vocational pursuits set him apart from most of his peers at the time. But that’s no surprise, given that he was possessed of a natural curiosity and a desire to examine himself and his existence with a conscious deliberation that few exercise during their lifetimes. Considering the diversity of pursuits that characterized his life, it’s difficult to pin down Thoreau to any one particular outlook or accomplishment. He invented technology to make pencil manufacturing more efficient. He was an educator who took an unconventional approach to teaching. He was a naturalist whose observational studies would prove valuable to latter-day scientists studying climate change. He wrote a variety of books and essays covering a wide range of topics. And, as this film’s subtitle implies, he was an expert land surveyor. But, as should be obvious from these and other endeavors, he surveyed more than just topography; he truly was a surveyor of the soul. Thoreau’s best-known experiment in personal introspection came in 1845, when he moved into the woods not far from his home. On July 4 of that year, he embarked on an ironically timed odyssey of personal independence, building a one-room cabin for himself on the shores of Walden Pond. His intent was to spend time making a concerted effort examining what it meant to live life in the moment and exactly who he was as an individual. The result of this two-year venture was Walden: Life in the Woods, arguably Thoreau’s most famous book. 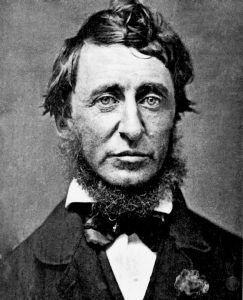 Through his time at Walden Pond, a variety of travels, and the ordinary and extraordinary events of everyday life, Thoreau amassed a wide range of experiences that went into his writings. Over a comparatively short career, he compiled a thoughtful, impressive, eclectic body of work covering a variety of subjects ranging from transcendental philosophy to nature studies to social commentary and even travelogues. But, despite the diversity of this subject matter, Thoreau often found ways to connect his topics. Understanding this inherent sense of connectedness was important to him, and he frequently sought to address various aspects of it through his work, most notably our connection to ourselves, our connection to nature, and our connection to our society and culture. As a corollary to this, Thoreau also believed it was important that we appreciate and make proper use of the resources afforded by man, nature and technology. He believed there was an intrinsic integration among these elements and that it was in our best interests to understand the nature of these interconnected relationships. One reason why Thoreau believed that understanding these connections is important is his contention that our thoughts and existence fundamentally mirror one another. It’s an idea, for example, reflected in his work as a surveyor, an outward vocational representation of the “work” he did internally as a surveyor of the soul. Similar parallels can be found in his other writings, particularly his travelogues, which often show connections between what he witnessed and what he was experiencing personally at the time. As an individual who was part of a larger society, Thoreau also believed it was crucial that we understand our connection to and role in that greater whole. This fueled his social activism efforts, particularly those as an ardent abolitionist. He was so fervent in his beliefs on this subject that some even considered him a radical. However, given his prevailing philosophical and metaphysical outlooks, he could not stand back in good conscience and condone a practice that he saw as a fundamental affront against humanity. Various aspects of Thoreau’s life also reflected another innate quality – his willingness to go beyond conventional limitations and think outside the box. This thinking can be seen in activities as diverse as his abolitionist activism – far from a widely embraced outlook at the time – to the development of his improved pencil manufacturing technology. It’s also a central theme in his writing, something that genuinely set him apart from many others at the time. From the foregoing, it’s obvious that many aspects of Thoreau’s thinking are embodiments of conscious creation philosophy, the doctrine that maintains we manifest the reality we experience through the power of our thoughts, beliefs and intents. 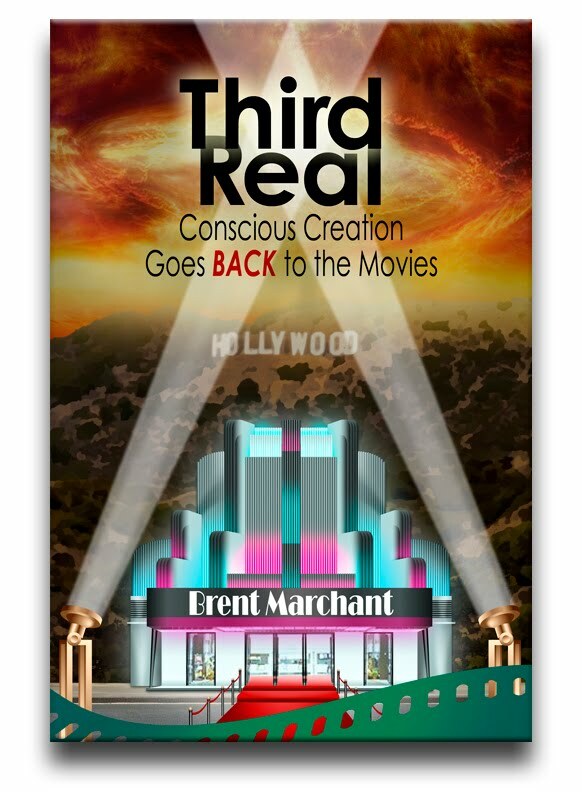 Connectedness, surpassing limitations and seeing our external world as a reflection of our internal reality, for instance, are all concepts that feed into both Thoreau’s outlooks and the driving principles of conscious creation. It’s unlikely he ever heard of this philosophy, but, from what he thought and wrote, it’s apparent that he understood, practiced and believed in the validity and viability of its basic tenets. Had he lived a century later, he might well have become a master practitioner at it. 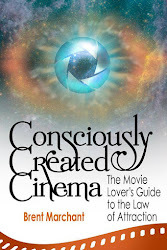 Conscious creators who have never read his works or studied his life could significantly augment their understanding of this practice from his example, potentially learning much from one of the uncelebrated forerunners of this philosophy. 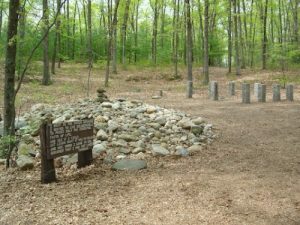 Thoreau’s Walden Pond cabin site and memorial rock cairn. Photo courtesy of Films by Huey. “Surveyor of the Soul” does an excellent job of profiling its central figure, providing great detail about Thoreau’s life and work, intertwined with thoughtful examinations of his philosophy and outlooks. 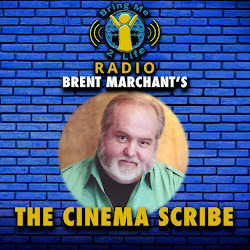 The film fittingly shows how his life events inspired the writings that came out of them, again drawing upon the sense of inherent connection that was such an important theme in his writing and thinking. Intercut with this narrative are additional insights drawn from interviews with authors, historians, professors, Thoreau scholars and staff from the Walden legacy sites. In addition, the film includes commentary from those who have been inspired by Thoreau, including students who participate in educational programs based on his works and philosophy. In all, director Huey (a.k.a. James Coleman) has compiled a fascinating, comprehensive piece that could easily be considered the quintessential Thoreau biography. For those who want to know more about the enigmatic author, this is definitely the film to see. Socrates famously observed that “the unexamined life is not worth living,” a contention with which many of us would probably agree. But this need not be the case; with a little effort and guidance, it’s possible to conduct such an introspective review, and the advice Thoreau offered in this regard is as good a starting point as any. “Surveyor of the Soul” makes this process even easier, offering viewers an inclusive overview, one that can help the curious successfully launch their forays into the life examined. And, given what might come out of such an undertaking, it’s a pretty safe bet that Thoreau would likely approve. 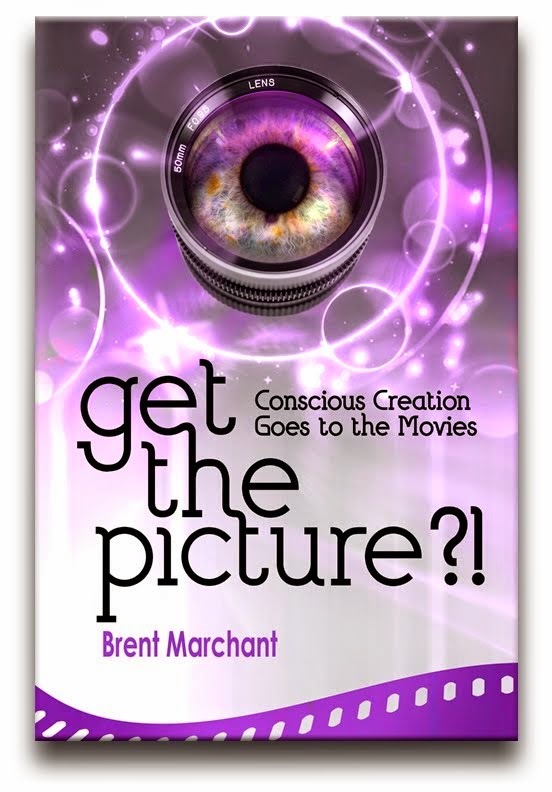 Copyright @ 2018, by Brent Marchant. All rights reserved.